It's the Dallas Buyer's Club reunion nobody wanted to happen. 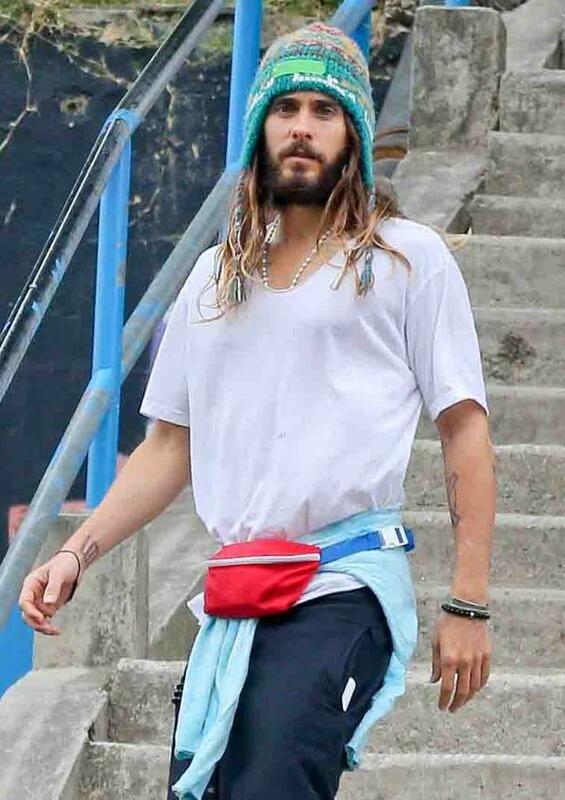 Oscar-winners Jared Leto and Matthew McConnaughey are determined to bring bum bags back. The acting duo starred together in the hit film earlier this year and their style seems to have rubbed off on each other. Leto was spotted enjoying a day at the beach in Rio de Janeiro, Brazil, wearing a red bum bag, just two months after his pal debuted the look at a baseball game in New York. While the 30 Seconds to Mars frontman has yet to explain his foray into practical fashion, dad-of-two Matthew was happy to defend his 'nerdy' new look. "You gotta kind of put it on the side to make it look a little not as nerdy, but still, practicality wins out," he added. Note he is careful to pose his bumbag as "a little not as nerdy" rather than "not nerdy". They're not the only stars to try the style with Rihanna and Sarah Jessica Parker (wearing Chanel, of course) have both tried to add some flare to one of the biggest trends we've been trying to forget since the 90s.